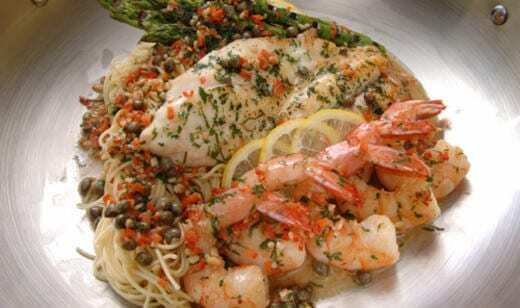 Heat the oil and butter in a large sauté pan.Add garlic and shallots and sauté for 2 minutes over low heat, stirring often.Raise heat to medium, add capers, pimento, wine, clam juice and pepper; simmer for 2 minutes.Add fillets and simmer over medium-low heat for about 5 minutes.Add shrimp, spreading them evenly over the skillet; simmer for 3 minutes until fillets and shrimp are cooked through.Stir in parsley; add salt to taste.Place fillets and shrimp on pasta on individual plates.Spoon scampi sauce over all and serve. 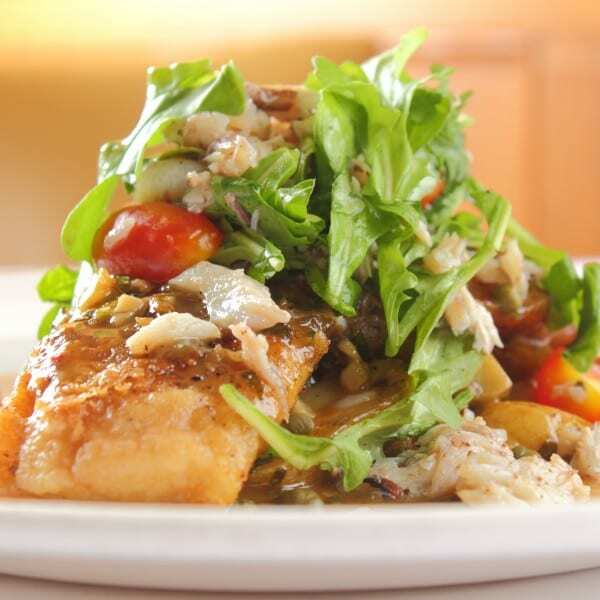 For a twist on an old favorite, definitely try this recipe out! 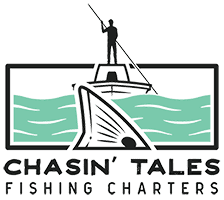 Naples fishing charters with Captain Geoff of Chasin’ Tales gives novice and experiences anglers an opportunity to make a catch, while learning a lot about the local Southwest Florida area. To book a trip, call 239-216-0378 or click here for more information.